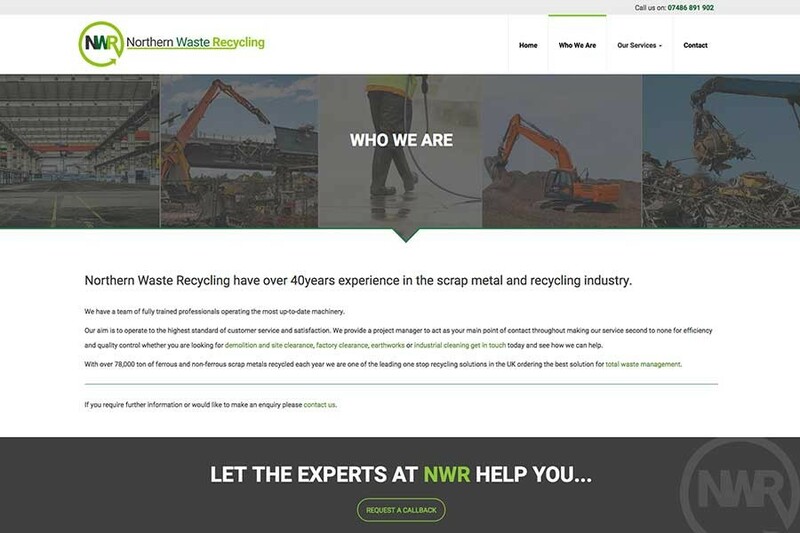 Northern Waste Recycling is a professional waste management company located in the North East of England. 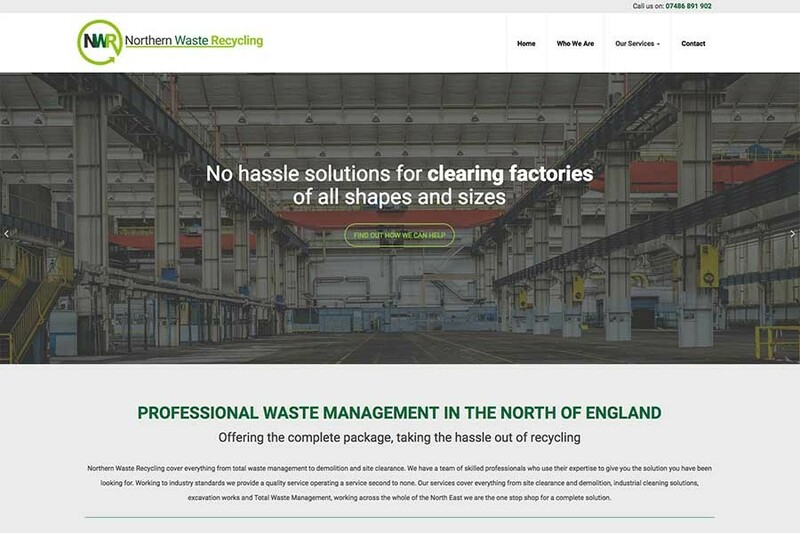 Design365 worked closely with Northern Waste Recycling to create a full brand identity, the logo has strong links to recycling with the use of colour and the circular symbol. 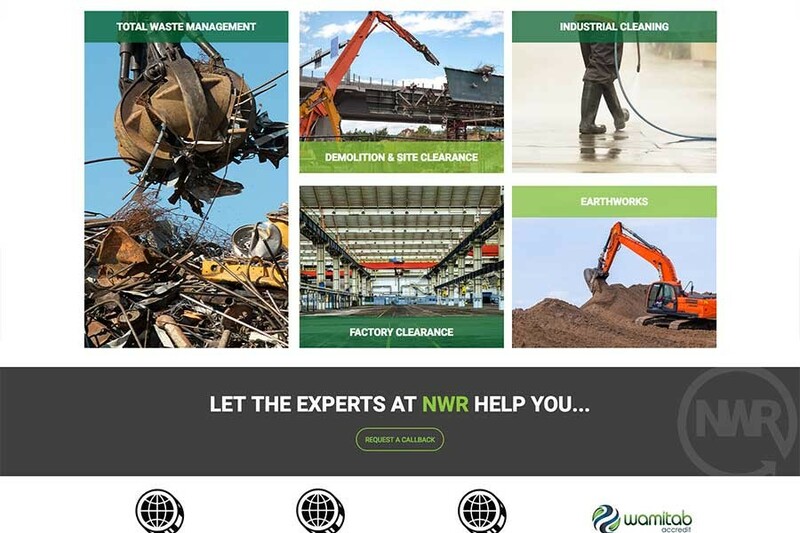 The NWR symbol could be used as a stand-alone image/logo in the future. 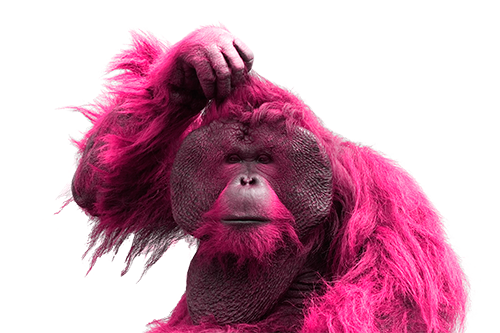 Once the brand identity had been finalised Design365 created a fully responsive brochure website, focusing on their 5 main services. 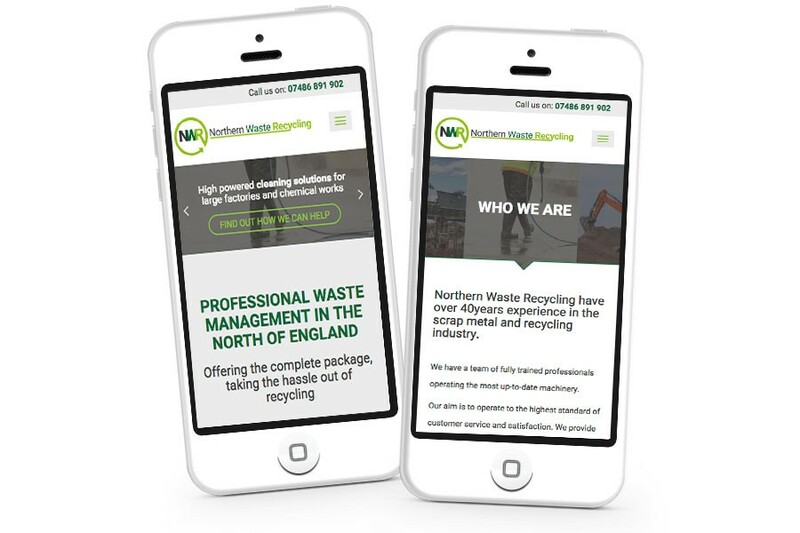 Calls to action can be found on every page of the website along with full accreditations and a callback request for quick client contact.